Excellent preowned ladies midsize Rolex Datejust (ref. 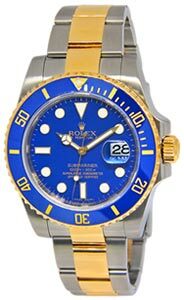 6827; s/n: 6455xxx ~1980) in 18k yellow goldfeatures a white roman dial and fluted bezel. President bracelet . Custom mother of pearl diamond dial.